Today's post is brought to you by "Subway Art"
Subway Art and couldn't really come up with much. subway art, n. 1. placing and arranging related words, in random fonts to form art. Our FAB DT has been playing with this topic and I can't wait to show you what they've come up with. Julie made this adorable Camp-A-Lot Canvas. She says she loves Subway Art and the personal meaning behind it. What a fun project to display and brighten up your home this summer!! 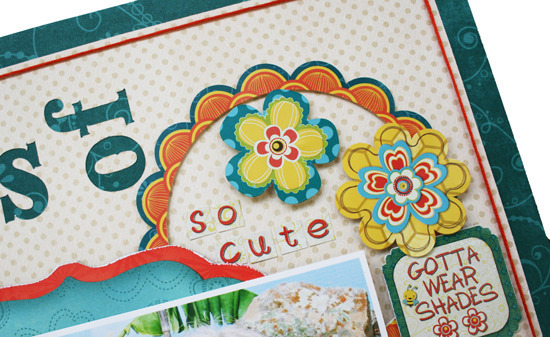 "Don't always grab the unused papers in your scrapbook stash! For my canvas, I mostly made this using scraps I had left-over from a layout and cards I had made using this collection!" Robbie said, "Although this layout has a lot going on, it is really quick and easy to put together." 1. To start, I used an electronic cutter to cut out my title. I wasn't really picky about where it ended up, because I planned to just work around it. I did make a point to leave the center of my layout empty. 2. Using lots of stickers makes layouts quick and easy to put together. To add intrest and make layering easy, just use lots of foam dots. You can see this in the close-up pictures. just choose one and cut along the edges. 4. The yellow banner piece of paper was one that I had cut to small for another layout. 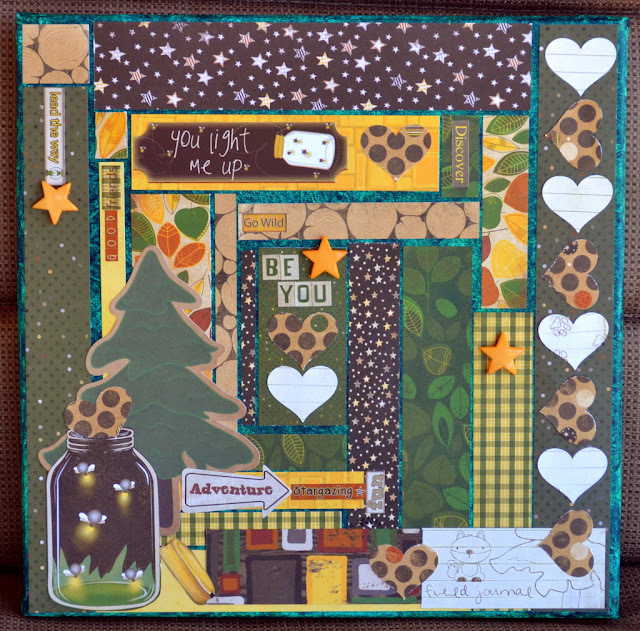 I save my large scraps, so I just pulled it out and added it to this layout. 5. Finally, to get the look of stitching or bordering without taking much time, just add holes at the corners and stopping points instead of actually making a lot of stitches. I hope you all enjoyed the layouts today as much as I did. Show these cute girls some love with a comment and be sure to share your SUBWAY ART layouts with us on facebook!!! Super fun technique. Gorgeous LOs ladies! 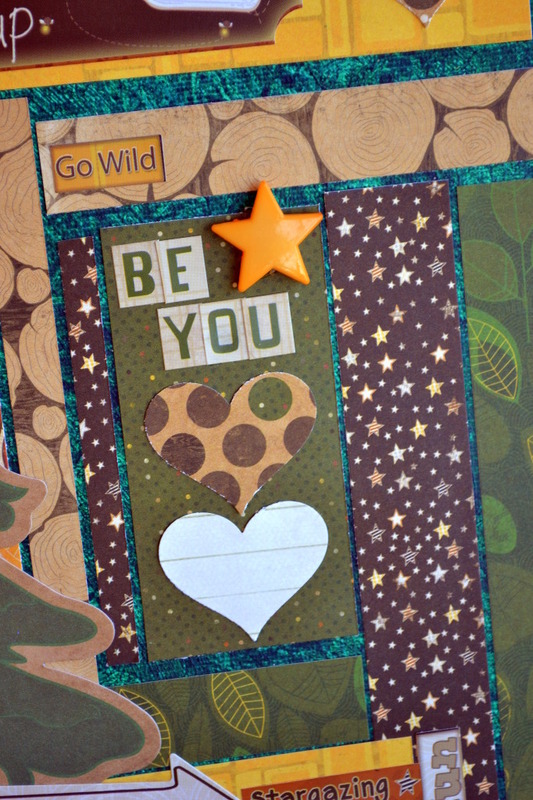 Love all the added stamping, designs, and wonderful fonts you used! What fun layouts. The girls did a fabulous job. Now I have a new thing to try! Love it! Creative layouts! Really like the first one!! Two very different layouts but both amazing. Great work ladies. 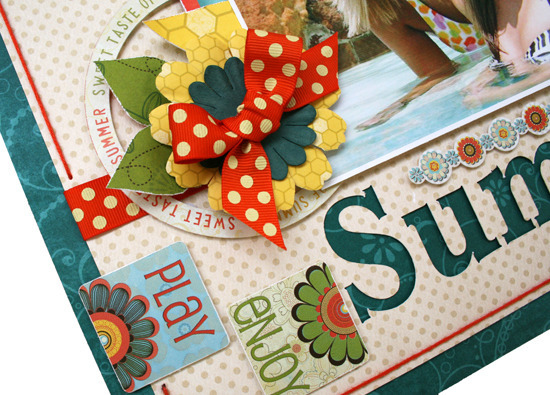 Love the Girls of Summer layout. So much to learn from you all!! Love the Girls of Summer page! The colors are fab! Wow!!! Robbie!!! Your lo is GORGEOUS!! I loveeeeeeeeee the title work!!!!!! What a fanastic piece of art.These layouts were so fantastic. Loved the tips and directions given with each layout. Thanks for Sharing. Love the techniques and lettering on Girls of Summer. Fun idea. Great job. All the layouts today were so cute. Love, love, love these examples of subway art!!! Wonderful projects!! Excellent -- Love them both, signed, Girl Scout leader!